When we think of full body motion controls we usually picture a camera like Kinect that allows you to interact with your games. That isn’t necessarily the only way of doing full body motion controls, they can be much simpler than that. 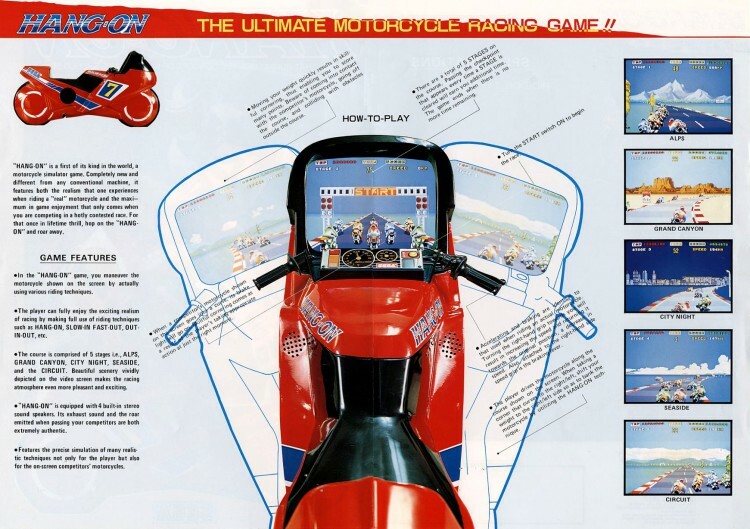 Take AM2’s Hang-On, a game released in 1985 that had an arcade cabinet with full body motion controls. The deluxe cabinet of Hang-On came equipped with a bike that players would be able to sit on. To move the character on screen, the user would have to tilt side to side; simulating the idea of actually riding a bike. 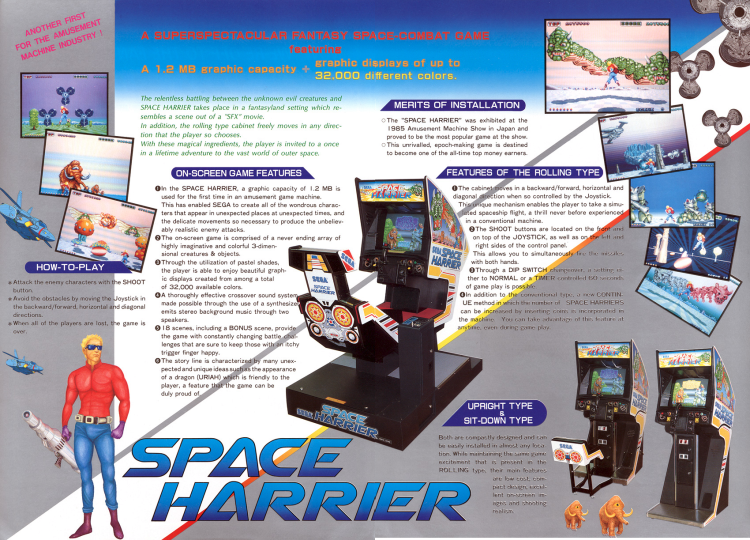 The popularity of the cabinet lead AM2 to release other motion-controlled hydraulic arcade cabinets such as Outrun, Afterburner and Space Harrier. Not only that, this was actually the first game created by Yu Suzuki and went on to be a smash success. It took 20 years after the release of Hang-On for motion controls to hit the mainstream in console gaming. This happen thanks to the release of the Wii, which main selling point was its motion control, which helped it move over 100 million units. Microsoft would later release Kinect, an add-on for its Xbox 360 console that would use a camera and allow the user to interact with games using their full body. It was a mainstream success, selling 24 million units. Motion gaming is still improving, just a few days ago at the Consumer Electronic Show, a company unveiled their new full body motion controllers titled Prio VR which has the internet drooling due to its accuracy and the Star Wars light saber demo they showed. Who doesn’t like light sabers? Before AM2 introduced the first true analog joystick, most video game arcades used mostly 8-way digital controls which seemed fine for more simple games, but AM2 had a more ambitious vision for their first on-rail shooter. They wanted more precise controls, so they shipped analog joysticks with each cabinet. That wasn’t the only thing the joystick could do, it also had different speeds depending on how far the user pushed in a certain direction. It could also sense sensetivity. So if you barely move the stick the character on screen would barely nudge, but if you held it all the way he would move across the screen faster. This gave arcade goers greater control over games and developers more ideas when it came to the type of games that could be created. Power Drift wasn’t a huge game here in the United States, but it doesn’t mean it wasn’t important to the future of video games. 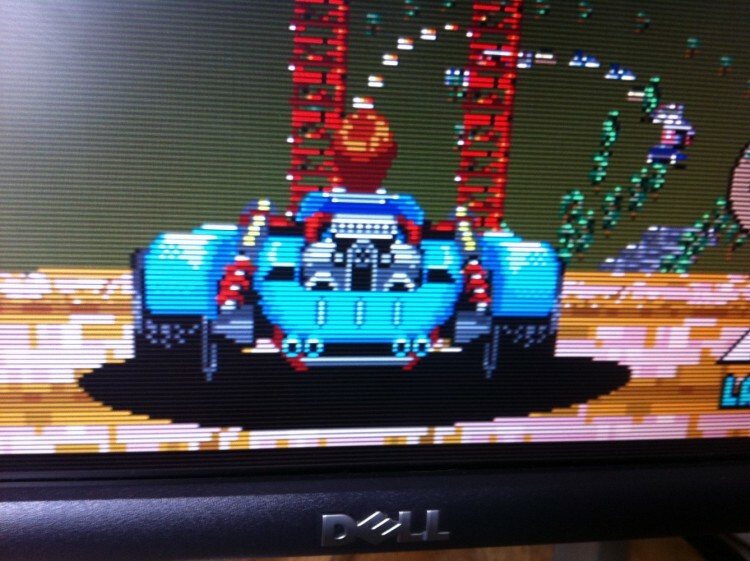 You see, Power Drift was the first Kart Racing game, released in 1988 in arcades and designed by Yu Suzuki. The game laid the groundwork for the kart racing genre like roller coaster like tracks that where possible due to using flat bitmap for its track layouts, a wide selection of selectable racers and your drive a go-kart. I mean, isn’t that why this is on the list. While the game enjoyed ports on other personal computers during the the time it was released in arcades, the game wouldn’t grace a SEGA console until they released it in 1998, a decade after the game came out. Nintendo would later popularize Kart racing with Mario Kart which added brand new features to the genre like power ups and was a big reason for the rise in moscot kart racers during the 90s. SEGA would also make a couple of moscot kart racers influenced by Mario Kart, including Sonic Drift and Sega & Sonic All-Stars Racing. Once the 90’s came around, AM2 hit full force developing their model 1 arcade board in 1992. 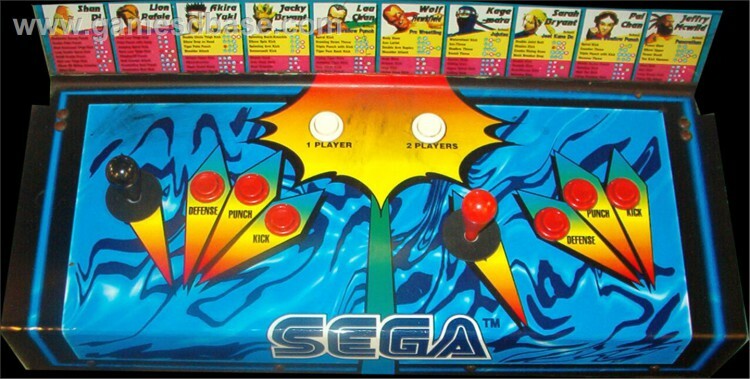 It was the first arcade board that could run 3D games at 60fps with multiple players on the screen. The first game that AM2 created with the new board was Virtua Racing. Even though the game broke new ground at the time it wasn’t the first 3D racing game release. That would go to Namco’s Winning Run in 1988. Next AM2 would take on the fighting genre with Virtua Fighter, showing the power of their Model 1 arcade board by rendering human characters with full facial animation. This game laid the groundwork for later 3D fighters including Tekken and Dead or Alive. SEGA would improve their 3D games by releasing the Model 2 arcade board in 1993, this board would now allow textured mapped polygons which created more detailed 3D games. Some of the first games to use the board included Virtua Fighter’s sequel and the immensely popular Daytona USA. AM2 did lauch Virtua Cop which is the first 3D light gun shooter and Virtua Striker the first 3D soccer game. The PlayStation and Nintendo 64 where still a years away after SEGA’s model 2 arcade board revolutionize arcade gaming. Talk about being innovative. Shenmue may have not introduced QTEs, that should be credited to games like Dragon’s Lair and Cliff Hanger that both came out in 1983, before SEGA-AM2 was even a team. Outside of a handful of games, this type of interactive cutscenes with timed button presses wasn’t really popular until the creation of Shenmue. Yu Suzuki came up with the name “Quick Time Event” which allowed him to make more cinematic gameplay moments that wouldn’t be possible through traditional gameplay. Instead of sitting and watching a cutscene, the user had a chance to change the outcome instead of waiting for what the creator chooses the outcome to be. 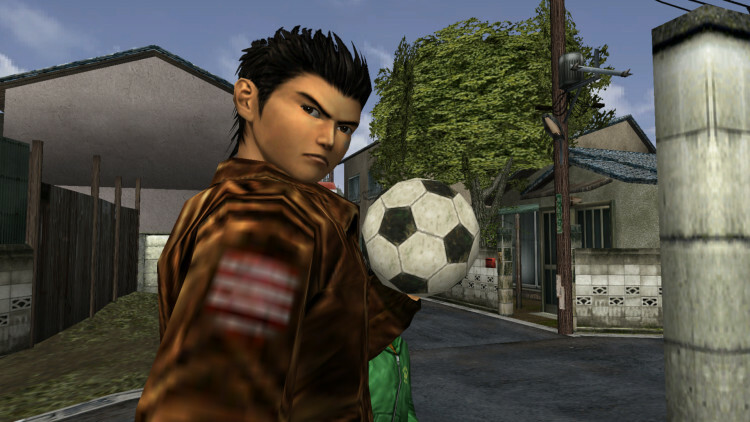 Of course Shenmue did more than just popularize quick time events, but there is no denying the huge increase of games that used Quick Time Events after the release of Shenmue. Big blockbuster games like God of War, Resident Evil 4, Gears of War, Call of Duty and even Mass Effect games. Even though AM2 might not have been the first to use quick time events, they where the first to give quick time events its name and show other developers how quick time events could improve their game’s storytelling by making it more interactive. Now every other game released uses these methods. Its a testament to the talent and the attention to detail that Yu Suzuki and his AM2 had during this era of gaming. As you know, with a career as long and as innovative as SEGA-AM2, its hard to put everything on a top five list. So, my question to you is, what do you think is the biggest change AM2 contributed to gaming? Why do you claim Shenmue popularized QTE, and not other Sega games like Die Hard Arcade? 3. Games didn’t start using it after they did it. Most importantly it isn’t created by AM2, so it can’t be credited in the video.